A compact under-counter Beko fridge freezer to suit smaller household food storage needs. The Beko under-counter fridge with freezer compartment comes with an organised fridge space and four-star freezer box. Available in a silver finish that looks stylish under your kitchen counter. With its petite size, this small fridge freezer offers just the right amount of storage space for smaller households looking to save on space. 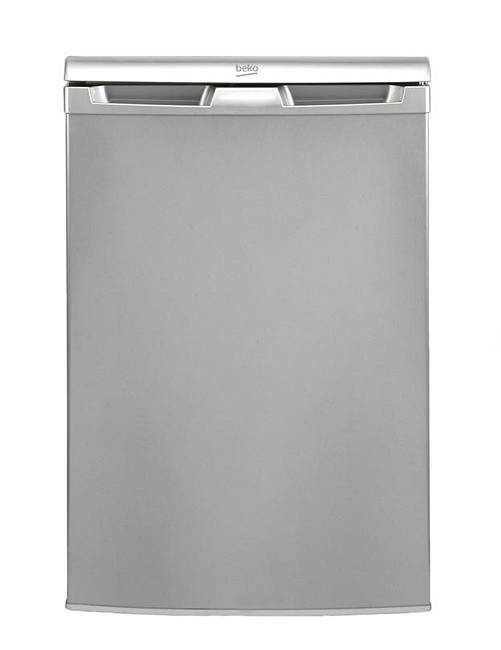 Measuring just 84cm high by 54.5cm wide and 59.5cm deep, the Beko fits comfortably under your kitchen counter. 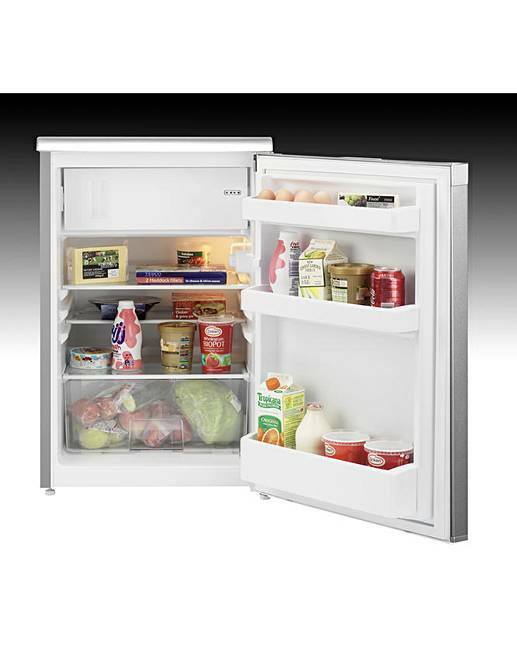 101L of refrigerator storage capacity and 12L of frozen space are ideally sized for small spaces and small households. Three glass shelves can be adjusted to accommodate the needs of your weekly shop. A large salad crisper provides plenty of space for all your fresh food and veg. Find a dairy compartment, complete with egg tray, and two additional door boxes on the inside of the Bekos door. The Bekos freezer compartment is conveniently located at the top of this under-counter fridge freezer as you open the door. This under-counter fridge freezer comes with reversible-door functionality to suit the existing layout of your kitchen plan: the curved, integrated flush handles can be positioned on either side of its door to open on your preferred side.